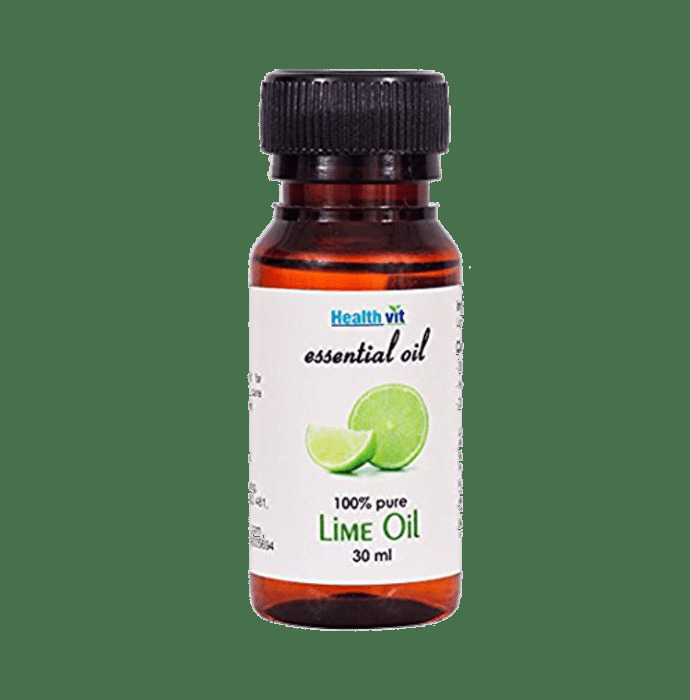 Healthvit Lime Essential oil contains pure extracts of lemon (Citrus aurantifolia) leaf. It is used to purify the air, for alertness, to relieve coughs or congestion, for uplifting and cheering the spirit, to heal colds, flu or inflammations. Ideal for dry, damaged, dehydrated skin and for the rejuvenation of the facial skin. This oil protects the skin against infection by forming an anti-microbial layer over the skin. Relieves dryness and itching accelerate healing process in small cuts and bruises. Lime oil is useful for hair, skin and body care. This oil is natural, pure and safe. Keep out of reach of children. Do not apply directly on the skin as it may cause irritation. Store in cool and dry place.